This is something i have been working on for a very long time now. I have been working in background on this alien solarsystem for like 1 and a half years. The alien solarsystem is called Boliverius Alvera Sagittarii. It is actually a stellar neighbourhood with 7 stars covering an area of 20 light-years. The "main-star" is Boliverius Alvera Sagittarii A. It is a binary yellow sun-like star, located 1500 light-years from our own solarsystem. It is orbiting 7 planets, 180 asteroids, , 12 comets and 20 dwarfplanets. There is 2 habitable worlds. 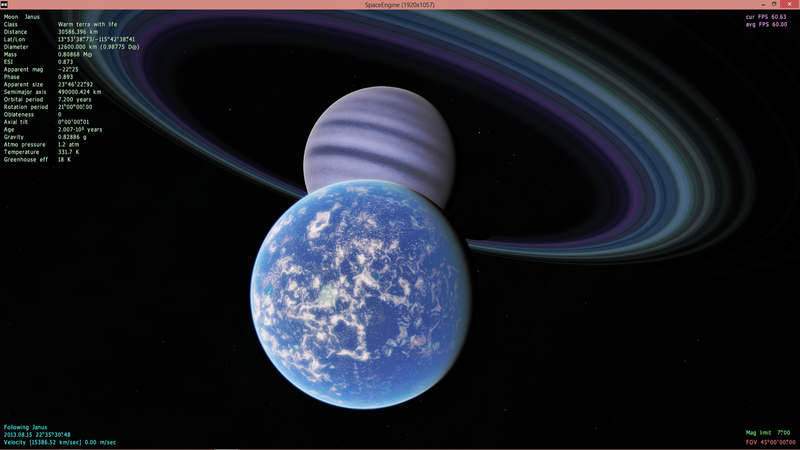 Those 2 worlds are habitable moons, orbiting gas giant planets. In this alien solarsystem it is living a civilization called the Alverian civilization. They are a population of about 5.4 billion, and they are living on a habitable moon called Janus, orbiitng a gas giant planet, which is called Vertilu. Vertilu is about the size of Jupiter, Janus is about the size of Earth. This is a very big planetary system. The inner planet is a scorching hot volcanic world a bit larger than Mercury. The next planet is called Alveria. Alveria is a desert-planet that was one time before a habitable world. The next planet after Alveria is called Lamoria. Lamoria is a terrestrial world that is near the habitability. The planet is cooling down, it is not a very old planet. The next world after Lamoria is the giant gas planet Vertilu which has the habitable and inhabited moon Janus. The next world after the gas giant Vertilu is a very hot world called Zandrania. 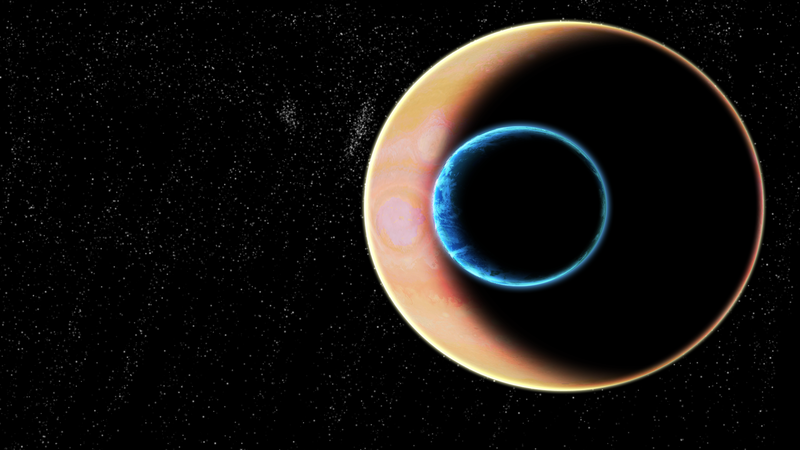 Zandrania is a newly formed planet that has a dust ring arond it, after a Moon-sized object impacted it, and it was formed a small moon around Zandrania. The planet is soon starting the cooling process. The next planet after that is the furthest planet away from the star. This planet is called Ariana, and it is a gas giant planet that has a habitable moon called Jana Alvena, but it is not inhabited. When you get further out from Ariana, you coming to the dwarfplanet-belt around the star. The dwarf-planet belt is stretching from 25.3 AU to 72.2 AU. The asteroid-belt is stretching from 0.38 AU to 2.6 AU. And i want to just repeat, this will be made in Space Engine. The work is in progress. I can see that you're putting great effort on this sci fi novel but I would like to warn you from using LICENSED artworks, you may want to remove them and just keep focusing on what you're doing before uploading your own original concepts. You use too much licensed artworks in your wikia page and that might be a problem in the future. Goodluck working on your project. ParentBody "Boliverius Alvera Sagitarii A"
Is your film going to be in English or Norwegian? I don't mean to be insulting or offensive in anyway, but I don't think your English is quite good enough for you to make a film in it. Your story sounds pretty cool, but even one or two grammatical errors will make people slam your movie. I would assume that you speak Norwegian well enough to make a film in it. However, if you plan on hiring a writer (or having a friend do it) you should be fine. Also, a lot of the art on your wiki looks like it might be licensed. You should double-check, because in the US, breaking a copyright carries fines as high as $500,000 and 5 years in jail. I don't know about Norway, but its probably similar. Good luck on your movie. Chris94, I see nothing wrong in your code, are you sure your file is linked on universe.cfg? I've had this problem too and the problem is that you can't put the planet and star in the same file. I had to put planets and stars in seperate file otherwise they do not work. Chris94, I suggest you insert the planet code and star code into seperate files. Put the file with the star's code into catalogs/stars/ and the file with the planet(s) code into catalogs/planets/. Guys, watch out. I think vosk_01/miros_0571/vosk_010858 just created another account (looking at his picture and his weak grammar). That's not true. Civil or no, if you've been banned permanently, you may not create another account. Also, Vosk has created several other accounts even recently, and has not been civil with any of them. RockoRocks, please try to avoid making insults and accusations at people. It's the job of the moderators and admins to catch rule violators, and they have tools that you don't which makes it possible to check these things, so just let them do it. I'm sorry HarbingerDawn. I thought he was him, because his picture. we don't have that rule in Norway yet. Our gouvernment haven't decided yet on such things. We haven't signed under the agreement to SOPA or ACTA, and we might never do it. This is what i have came with now of developing this giant fictional solarsystem with Space Engine. Here's the gas giant Vertilu and the inhabited moon Janus. I have only one problem. I can't add my own map to a planet or a satellite. I don't know why. I specify where it is located. I have tried to move it to the regular texture folder and place it there, but it won't be on the planets and the satellites. If someone are familiar with this same problem and can tell me how to fix it, please tell me it. 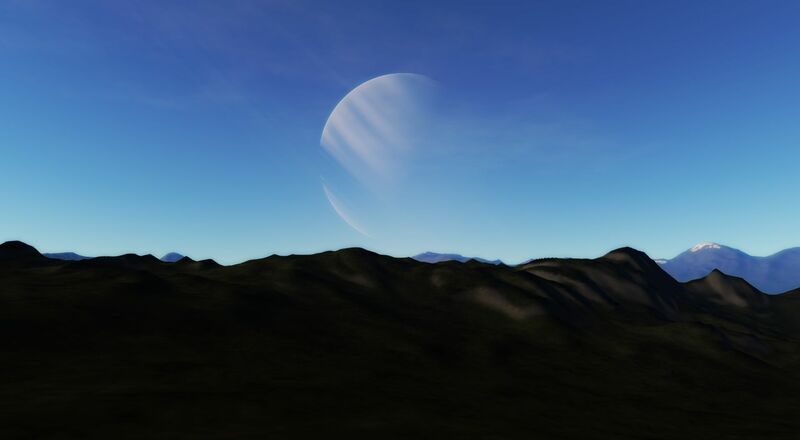 i am creating some moons that is not gonna have an atmosphere. How do i do that, so they will not have an atmosphere? You can also use NoRings, NoOcean, NoClouds, and NoAurora. I'm sorry for that. Haven't been very active on this forum. Have had a lot of stuff to do. You know, i am a screenwriter, working on a very big story.